This big and easy striped throw is ready to drop everything and head to the beach at the drop of a straw hat. We love the luxuriously soft, quick-drying Turkish cotton as an alternative to a bulky beach towel not only for seaside trips, but also for outdoor concerts, picnics, and even yoga. 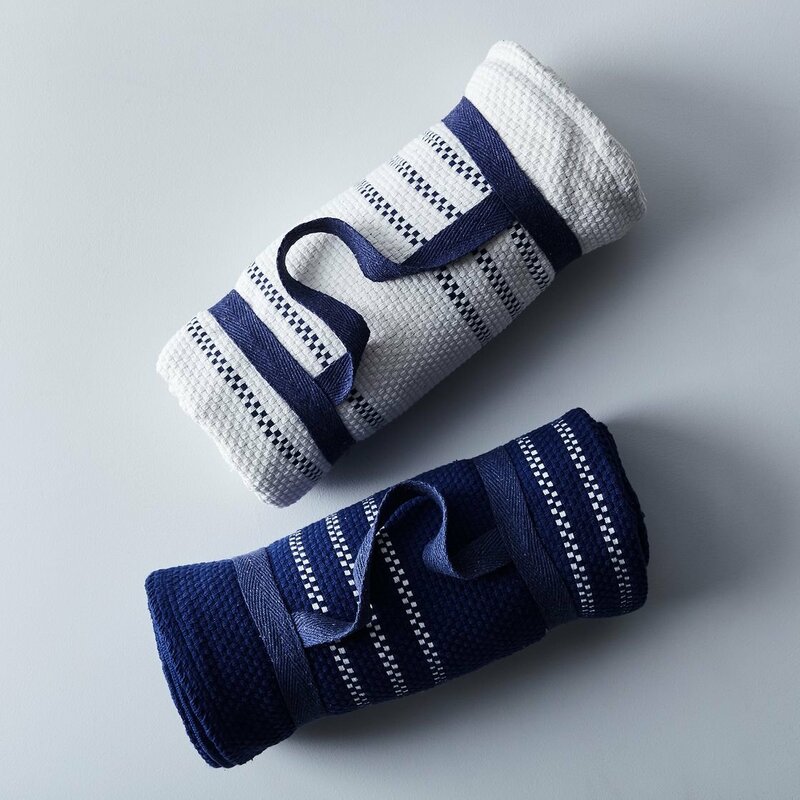 The included cotton velcro carrying handle—which detaches from the towel when not in use—makes it easy to pack up and sling over your shoulder. Made of: 100% Turkish Cotton. Carry handle is made of 100% cotton twill tape with velcro closure. Size: 50" L x 60" W.